Isiah Factor | The Insite » YOU AIN’T GOT TO LEAVE NOEW ORLEANS, BUT YOU GOT TO GET THE H*LL OUT OF HERE! YOU AIN’T GOT TO LEAVE NOEW ORLEANS, BUT YOU GOT TO GET THE H*LL OUT OF HERE! 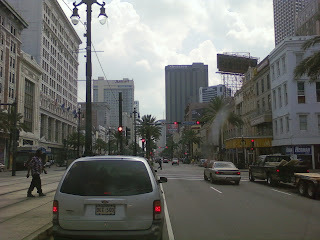 August 29, 2008 | Posted in Uncategorized | Comments Off on YOU AIN’T GOT TO LEAVE NOEW ORLEANS, BUT YOU GOT TO GET THE H*LL OUT OF HERE! 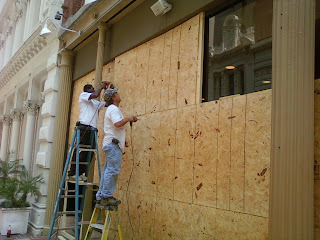 HOTELS IN NEW ORLEANS ARE BOARDING UP FOR GUSTAV! 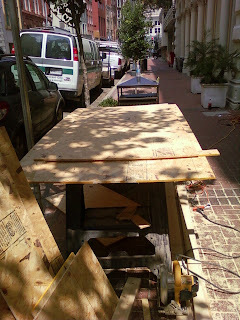 It’s kind of scary when you see construction guys boarding up the place you’re staying in. 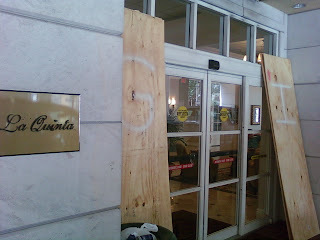 That’s exactly what’s happening at the hotel I’m booked in while covering Gustav for FOX 26. Most hotel workers are telling their guest check out will be Saturday morning at 10 am. I’m at the LaQuinta where the manager is really nervous. I don’t blame Mohammad because he just went through Katrina three years ago. 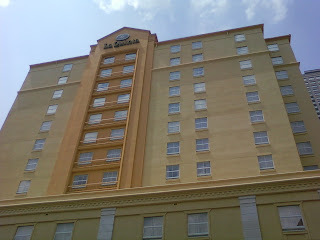 And believe it or not there are guests who are just down right upset with the hotel. They want to stay but there is no where for them to lay their heads. By the way, the Gay Decadence festival is apparently going on and those participants say they’re catching early flights back to where they came from!